Republican gubernatorial candidate Bruce Lisman and U.S. Senate candidate Scott Milne say an image shared recently on social media by their party's presumptive presidential nominee, Donald Trump, was "inappropriate." But both say they remain undecided as to whether they'll support him for president. The image, which Trump posted to Twitter on Saturday and later deleted, has been widely described as anti-Semitic. It featured presumptive Democratic presidential nominee Hillary Clinton next to a six-pointed star with the words, "Most Corrupt Candidate Ever!" set against a backdrop of hundred-dollar bills. The news organization Mic traced the image to an internet message board for a group of what it called "neo-Nazis, anti-Semites and white supremacists." "There's nothing wrong with using the Star of David, but in this context it sounds like it was used completely inappropriately," said Lisman, who is Jewish, adding that he was "glad to hear" that Trump had removed the image. "I don't think anyone should be using extremist groups as a source, and you know how I feel about anti-Semitism." 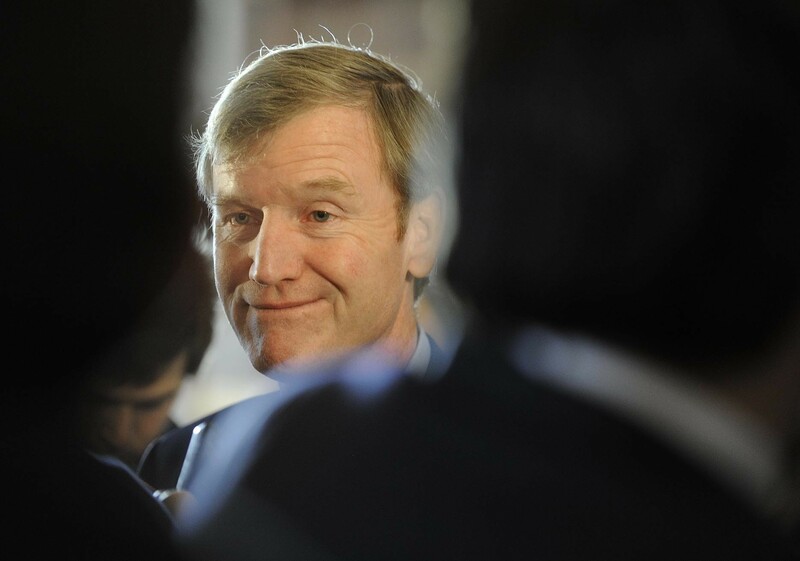 Milne, who is challenging Sen. Patrick Leahy (D-Vt.), called Trump's move "a poor decision" and said it was "inappropriate to dance around the edges of the Ku Klux Klan or anti-Semitism." The Pomfret travel agency president was less interested in discussing Trump's praise Tuesday night for the late Iraqi dictator Saddam Hussein's approach to combating terrorism. At a rally in Raleigh, N.C., the presidential candidate called Hussein "a bad guy — really bad guy." "But you know what he did well?" Trump continued. "He killed terrorists. He did that so good. They didn't read them the rights. They didn't talk. They were terrorists. It was over. Today, Iraq is Harvard for terrorism." "I guess I would say, probably: No comment. Yeah, no comment," Milne responded, adding, "It sounds Trump-like." Lisman said he wasn't familiar with Trump's recent remarks, "since I wasn't watching TV," and asked for a minute to review the full quotation. When he returned to the phone, he appeared to defend his fellow Republican. "He also said the guy was 'a bad guy.' He presumably said other things related to that which we probably would agree with," Lisman maintained. "I'd like to hear the stuff around it. I'll just say, generically, that he sometimes says things I don't like." 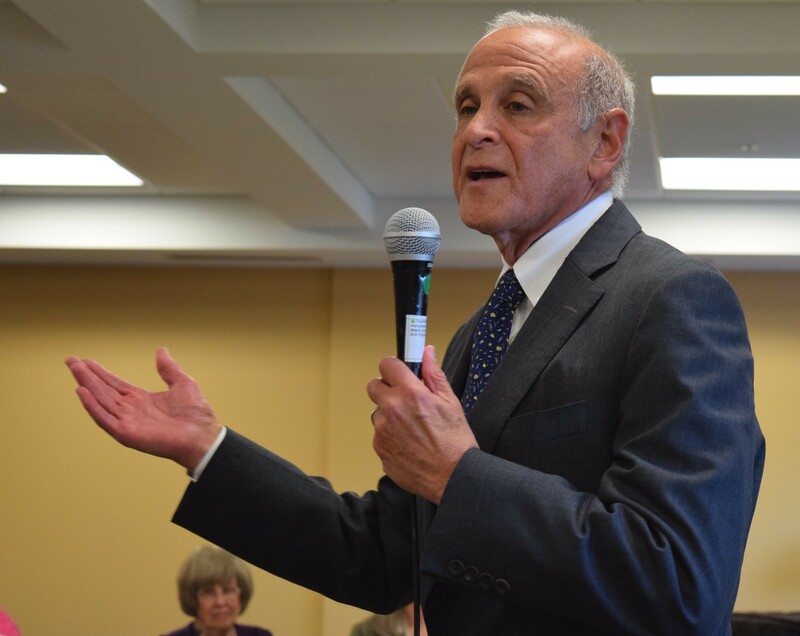 That doesn't mean Lisman plans to oppose Trump's presidential bid. As he has told Seven Days repeatedly in recent weeks, he wants to learn more about the candidate before making a decision, such as "who he's going to have as a running mate and the kind of people he surrounds himself with." Trump's recent comments and Twitter messages are not deal-breakers, he said. "It's one of the things I would consider as I make a decision," Lisman said. "I'll see what happens. I'm not obligated to decide today or tomorrow. I'm watching, like a lot of people are. He's the candidate of the party, so therefore I think we need to take a full look." Lisman's opponent in the Republican gubernatorial primary, Lt. Gov. Phil Scott, has long said he would not vote for Trump, as has GOP lieutenant gubernatorial candidate Randy Brock. Milne said that he, like Lisman, was "paying attention" to Trump's public utterances and would take his time in making a decision. "I would be delighted if I was in a place where I was supporting Donald Trump by November," he said. Then he stopped himself and groaned. "I guess I said it. If I had a filter, I might not have said it that way, but I guess I said it." Asked how he would have phrased it differently, Milne said, "'Delighted' is, you know, probably not the right word. It would be nice to be in a place where I could contemplate — my mind's open and I'm paying attention to the presidential race." Milne said it was possible he would vote for a third-party candidate this fall, as he has in the past, though he said he feels more pressure to support his party's nominee now that he is a candidate himself. He said he declined to vote for Ronald Reagan in 1980 and 1984 — and for George W. Bush in 2000 and 2004. In 2000, he said, he wrote in the name of his cousin, former Vermont secretary of state Jim Milne. He said he did vote for George H.W. Bush in 1988 and 1992, Bob Dole in 1996, John McCain in 2008 and Mitt Romney in 2012. "It's easy to take it relatively lightly in Vermont because of the electoral college," he said. "You can be a little whimsical about who you vote for."